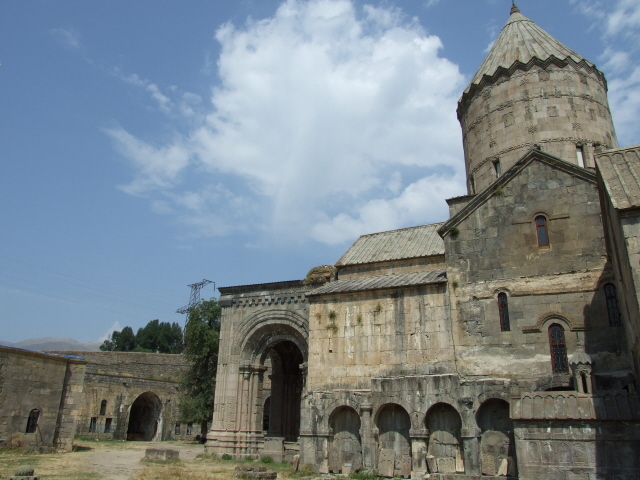 A small country in the Caucasus, home of an ancient civilization, distinctive architecture and even a separate church system of its own ... in fact, the Armenian Church is the oldest of all the Christian denominations. During most of the 20th century, Armenia was part of the Soviet Union, and its southern border with NATO-member Turkey was part of the Iron Curtain. Armenia sees itself as the first victim of genocide in the 20th century – namely at the hands of the Turks (then the Ottoman empire). However, this genocide is also denied by some people, especially in Turkey (i.e. the land of the perpetrators, where it is practically state policy to deny the Armenian genocide), but also elsewhere. I've even encountered it in Austria. Amongst historians worldwide, though, it is overwhelmingly accepted as historical fact. In Armenia, the legacy of the genocide is a defining trait of the people's psyche – as it is (perhaps even more so) amongst the worldwide Armenian Diaspora. The topic of the Armenian genocide, and its denial, was even elevated to a higher profile within the world of pop culture, namely through the US band System of a Down, whose members are mostly of Armenian descent, and who have referred to the topic in some of their songs. By the way: when In Turkey, foreigners (or Turks too) should better not push the topic. It is rather hushed-up or even suppressed here and bringing it up can potentially be dangerous or at least awkward (journalists have been threatened or even killed for conceding that the Armenian genocide actually happened). Even the whole connection with Armenian heritage is often ignored or denied on the Turkish side, e.g. at sights such as Ani, the ancient former capital of (Western) Armenia, which is now on Turkey's soil. Today the Armenian connection is not even granted a mention on any of the information panels for tourists. Many Armenians see things like that as a kind of "cultural genocide" that is still ongoing. 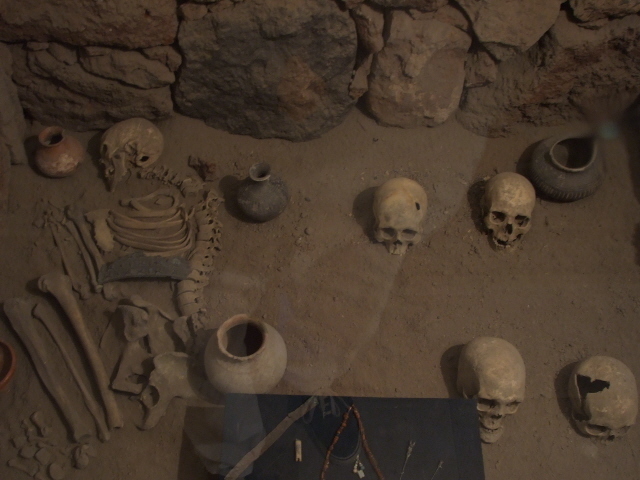 In Armenia's capital Yerevan, on the Tsitsernakaberd hill south of the centre, there's a proper genocide museum and a national monument – this the premier place to visit to learn about this dark topic. Also towering over the city is a marvellously old-fashioned Mother Armenia statue, with a war museum inside its plinth. 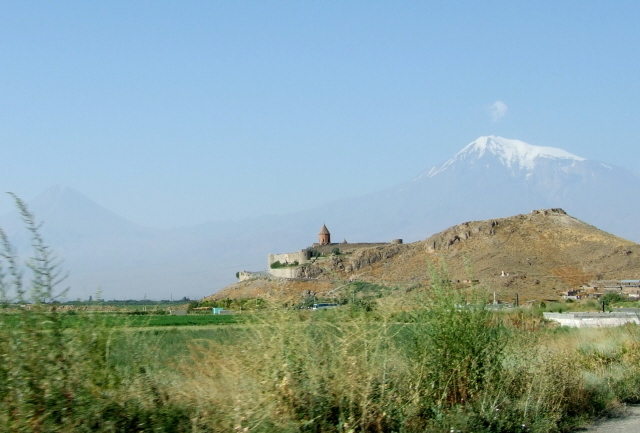 From the hilltop locations of both these sites you can (on a clear day) see Armenia's "holy mountain" in the distance, Mt Ararat – which these days also lies beyond the border on Turkey's territory. 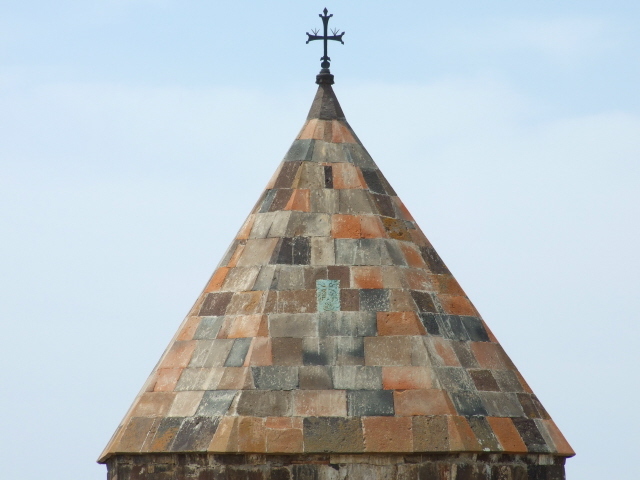 The old Armenian capital city of Ani, just across the border with Turkey west of Gyumri, can be viewed from the Armenian side from a couple of viewpoints. 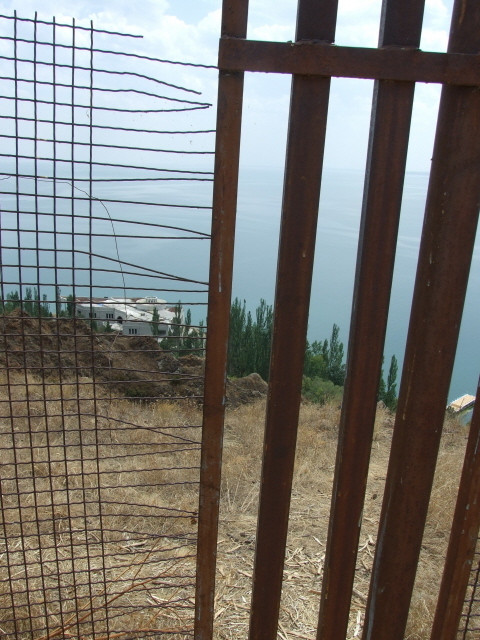 The border itself is on the Armenian side still guarded by Russian soldiers and retains some Iron Curtain installations. 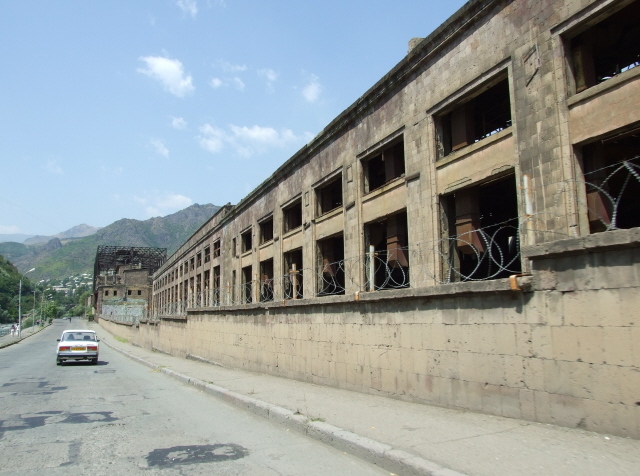 Gyumri itself is also a destination with some dark history – in this case primarily due to the devastation caused by the Spitak earthquake in 1988, many traces of which can still be seen, mainly in the form of damaged buildings. 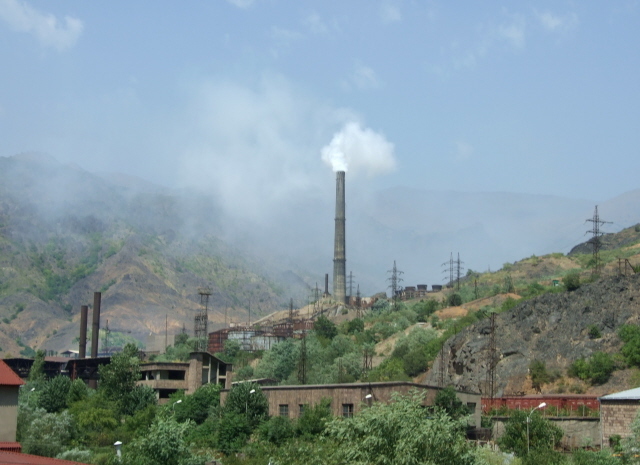 Desolation of a different sort can be seen all over Armenia, especially in provincial (ex-)industrial towns, with their rusting old Soviet plants – of which those at Vanadzor are possibly the grimmest. 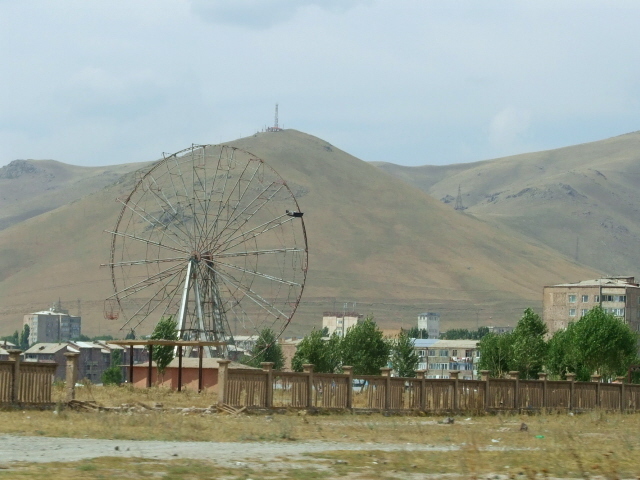 Outside Yerevan, two attractions have their dark sides: Metsamor with its controversial nuclear power station; and Sardarapat with its enormous war memorial commemorating the defeat of the Turks. Armenia is technically speaking also still at war with its neighbour Azerbaijan, namely over the Armenian enclave Nagorno-Karabakh, which lies nominally within Azerbaijan's territory, but is effectively occupied by Armenia. The conflict remains unresolved, but since 1994, a ceasefire has been holding and aggression been kept at bay. No nation recognizes Nagorno-Karabakh properly as an independent state, but it lives off (is secured by) Armenia's support. Given the fact that the borders with the embittered foe Azerbaijan are sealed, visiting the contested region is only possible via Armenia. But note that this is considered illegal by Azerbaijan, so you won't want evidence such as a Nagorno-Karabakh visa stamp in your passport if you intend to travel to Azerbaijan afterwards! 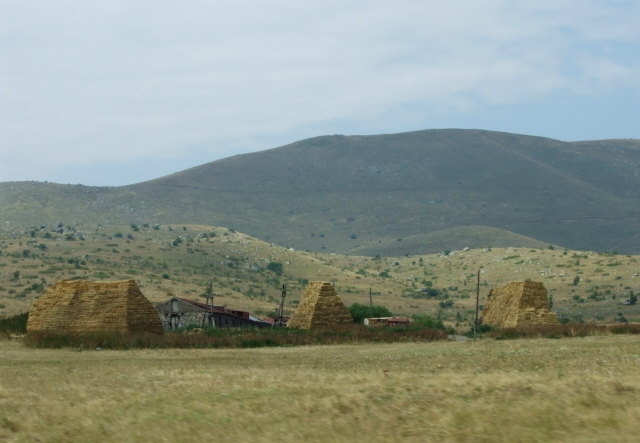 Convenient as a jumping-off point, or stop-over en route, to Nagorno-Karabakh is the small provincial town Sisian – which also has a couple of minor dark(ish) sights of its own. Travel to Armenia is easiest by flying in to the capital Yerevan, served by a few established airlines from a number of European hubs such as Vienna, Paris, London or Moscow. Overland, access is only possible easily via the northern neighbour Georgia, as both the borders to the east (Azerbaijan) and to the west (Turkey and the Azeri exclave Naxchivan) are closed. Theoretically you could also get in via Iran from the south, but that's naturally a bit trickier. That border, however, is not contested. In fact Armenia enjoys as healthy relations with Iran as it does at the same time with Russia and the USA – as possibly the only country in the world that could lay claim to this extraordinary political feat. Visas are required for entry into the country, but at least it's an easy enough process. Regular 21-day tourist visas are issued at any entry point where you pay the fee of ca. 30USD on the spot. For longer stays you need to contact an embassy in advance. 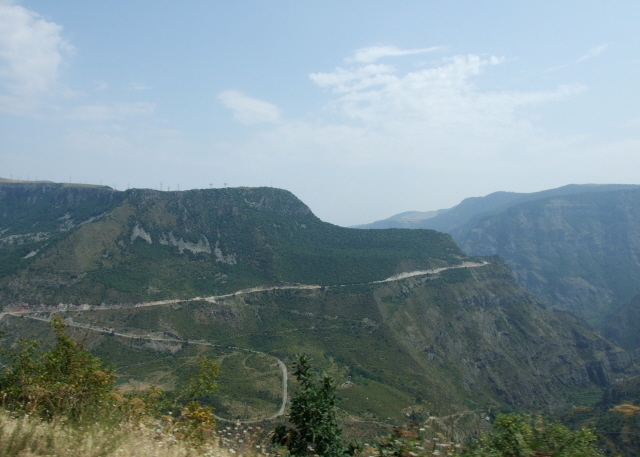 Simply hiring a local taxi can also be the best way to do excursions to remote places like Tatev. Sights around Yerevan can also quite conveniently be done as organized or tailored trips offered by various operators based in the capital, whose tourism infrastructure is clearly best geared towards foreign visitors, including English-speaking guides. Otherwise the language barrier is of course an issue in Armenia too, as in the other Caucasus countries. It doesn't help that Armenian is more closely related linguistically to other Indo-European languages (unlike the Turkic Azeri or the isolated exotic Georgian languages), it's still incomprehensible to foreigners. The ancient script that Armenian is written in is even more complex than Georgian's. On the other hand, you are somewhat more likely to encounter people able to speak at least a little English in Armenia than in some of the neighbouring countries. A decent knowledge of Russian is a valuable asset in Armenia, possibly even more so than in Azerbaijan or Georgia (in the latter, Russian has become somewhat stigmatized due to recent conflicts with the big neighbour over break-away republics; while in the former knowing Turkish will get you further than any degree of Russian). In Armenia, even street signs are often written in Cyrillic as well as Armenian, so if you can decipher Cyrillic script you needn't bother trying to learn the Armenian letters. Food & drink in Armenia is a double-edged sword. On the one hand, traditional Armenian food can be excellent. Only, you can hardly get it anywhere in restaurants. Most eateries seem to cater for only one craving – barbecued meat, called "khoravats", and going by the look of it, the dodgier the quality of the meat, the more popular it is. 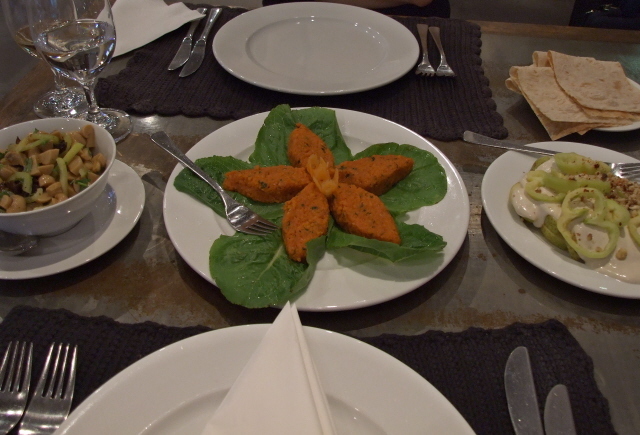 Vegetarians have it unduly harder to find edible Armenian food – even though the potential is so great. I was lucky that the very first place I stayed in in northern Armenia had a restaurant ambitious to revive traditional delicacies, and serve them at excellent quality. 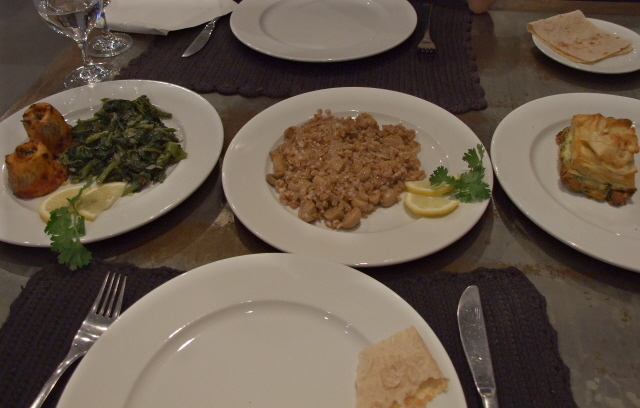 I never encountered that level of Armenian cooking again anywhere else in the country. In Yerevan, there are a couple of fairly good places too, but in general it's best to rather opt for Georgian cuisine, which is celebrated here almost as much as it is in its country of origin. A few international ethnic eateries can also come to the rescue of vegetarians or those tired of the constant meat-fest. But out in the countryside and smaller towns, it's best to keep your expectations low. On the drinks front, things can be equally ambivalent. 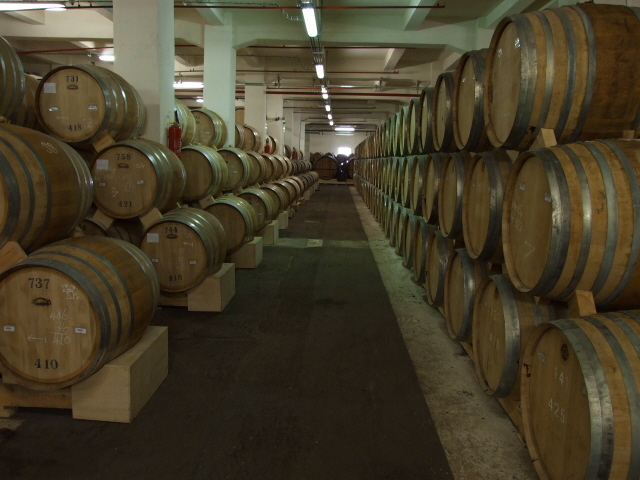 On the one hand, Armenia produces traditional wine from a wide range of grape varieties, similar to Georgia, but rarely (if ever) matching the levels of quality one can encounter over there (especially in Kakheti). On more than one occasion I even had Armenian wine so awful it was bordering undrinkable. On a couple of other occasions it was quite decent, though never outstanding. Beer is mostly bland and unremarkable (the best I encountered was from Gyumri). Juices and mineral waters are cheap and widely available. Coffee is popular, and it mostly comes in the traditional form that is very similar to Turkish coffee (just don't say so in Armenia – better call it Greek or Arabic). Same story with tea. The real crown jewel of the drinks produced in Armenia, though, is brandy, especially that named after Armenia's holy mountain (see under Yerevan and Ararat). It's certainly a hell of a lot better than the overpriced and over-hyped French equivalent under its protected regional classification (funnily enough though, the French allow the Armenians to use the designation as long as it is spelt in Cyrillic, transliterated: Konyak). Not all brands are of the same level of quality, and as so often in the former Eastern Bloc, the luxurious look of a bottle design can be misleading rather than a gauge. Best stick to the established big name(s). 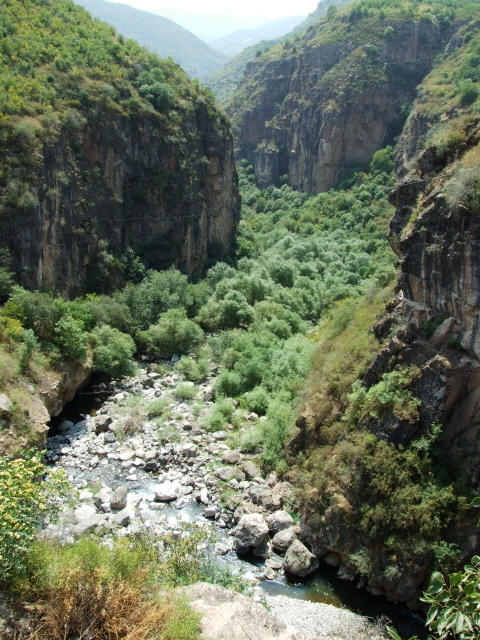 The climate of Armenia is influenced by the mountains, and its mostly high-altitude terrain brings harsh winters. Better times for travel are spring and autumn. At the height of summer it can get very hot, especially in Yerevan, which can get so stiflingly humid that many inhabitants flee to the cooler climes of Lake Sevan. The latter serves as something as a stand-in for a seaside, since Armenia, being landlocked, doesn't have any of the genuine article. It comes complete with beach resorts and water sports and all that. 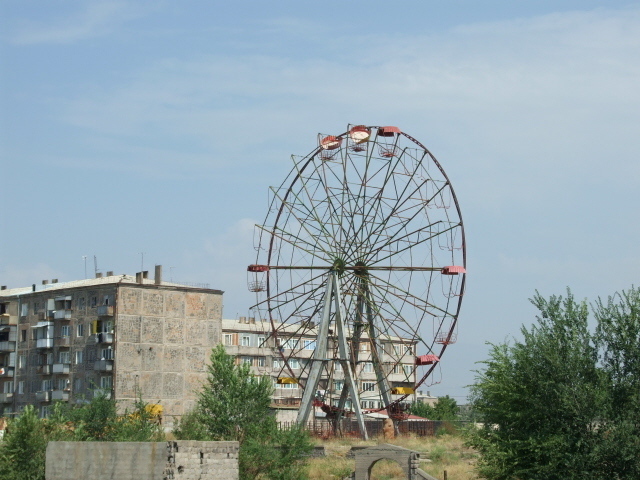 Dark tourists not so inclined to partake in the beach holiday sort of travel will get more out of noting some of the dereliction and leftovers from old Soviet days, not just the industrial wastelands of Vanadzor or Alaverdi (see above) but also the average aura of desolation of, say, abandoned ferris wheels which the observant traveller can spot from the road in many a place. More on the uplifting side, the emptiness of some of the scenery is quite stunning, even if it lacks the full-on jaw-dropping drama that the Great Caucasus offers in some places in Georgia. Sadly, Armenians do not treat their land well and environmental awareness is seriously underdeveloped – as the ubiquitous heaps of discarded plastic bottles and other rubbish, even at beauty spots, testify. 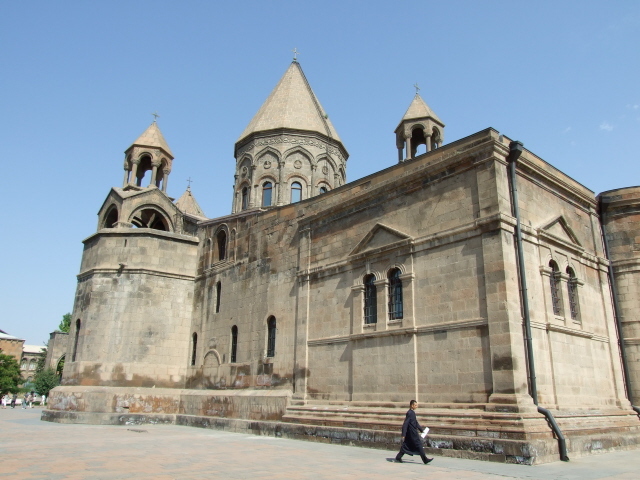 The one thing that really dominates tourism in Armenia in general, however, is church and monastery architecture. It is of quite a distinctive style … one I personally find much more pleasing for the eye than some of Central Europe's OTT Baroque gilded-domes-and-stucco-cherubs extravagancies. 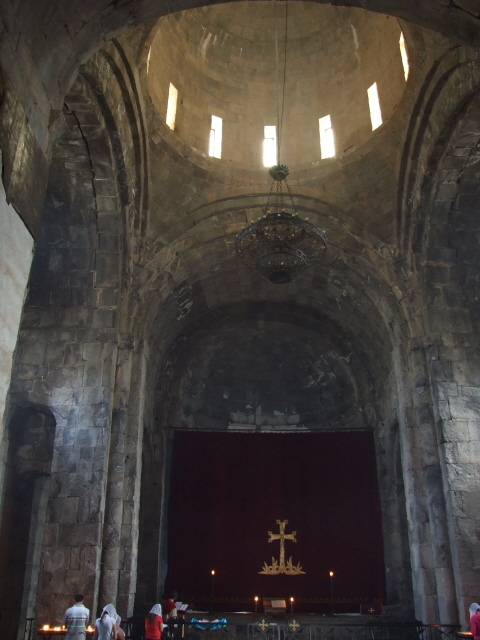 One typical element of the Armenian style is the use of (volcanic) stones of different shades of red dominating the outside facade; while inside it's all gloom and incense. 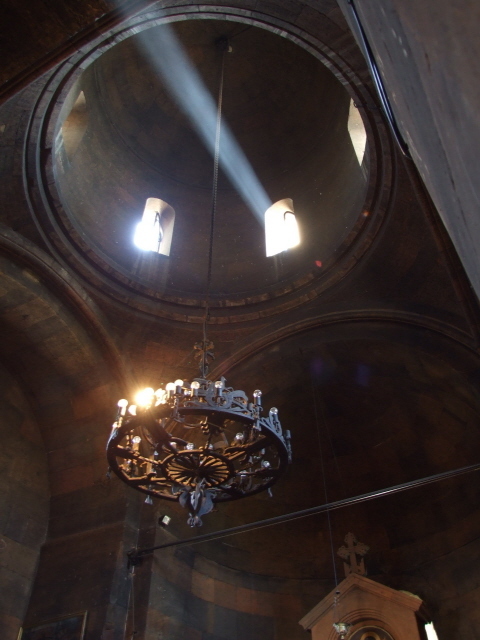 It really is quite atmospheric – but: there is a serious risk of overdosing on visiting churches and monasteries in Armenia. You could in theory spend weeks doing nothing but. So unless you're profoundly into such things I'd rather recommend being strictly selective. 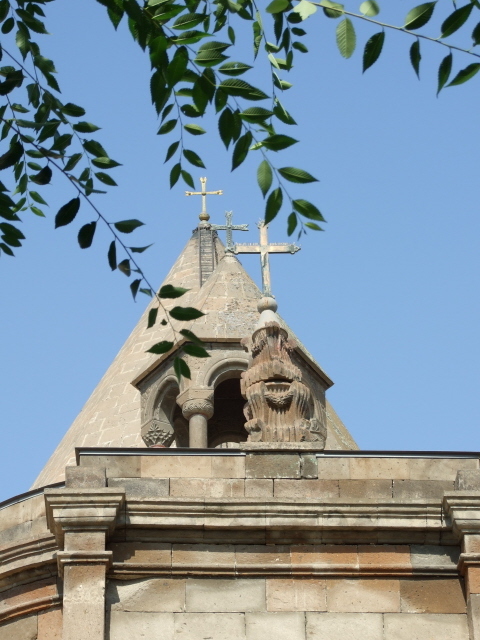 Amongst the ones most favoured by tourists in general is Echmiadzin, because it serves as the "Holy See" of the Armenian Church, the country's own equivalent of a Vatican. 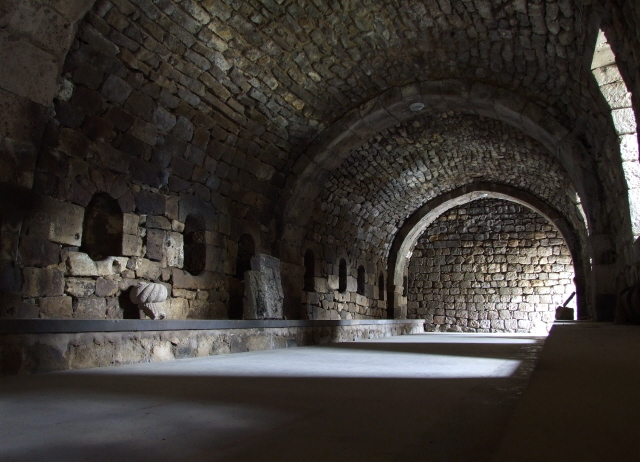 Another is Khor Virap – the latter is famed mostly for its location. It's THE No. 1 picture-postcard image of Armenia: the prototypical red monastery architecture against the backdrop of Armenia's Holy Mountain Ararat's snow-capped peak over across the border in Turkey ... a fact much lamented by Armenians, which lends the view additional poignancy. My personal recommendation in addition to (or even instead of) these classics is Tatev – in a secluded location in the south of the country, but reachable on a half-day-trip from Sisian. It's as dramatically located on a ledge overlooking a deep gorge as anything you could find amongst the more famous counterparts further north, but with only a fraction of the tourist crowds. 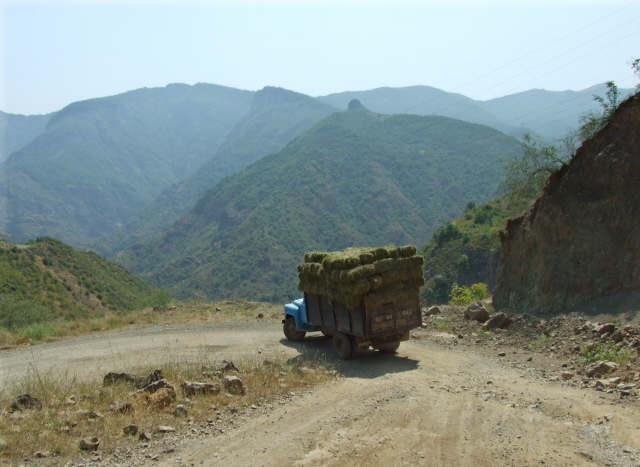 And the drive there is one of the most scenic and dramatic I encountered anywhere in Armenia. 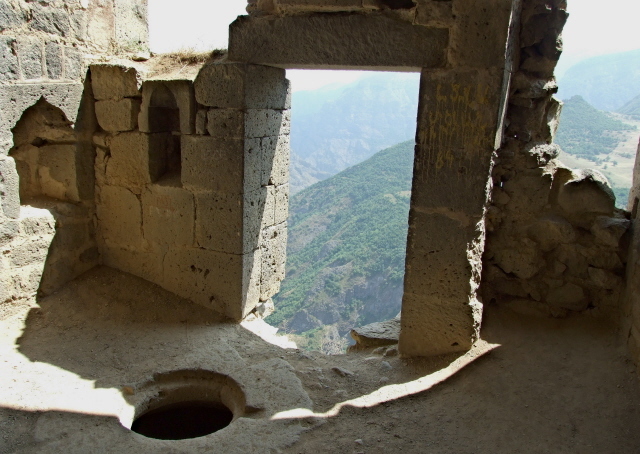 Tatev monastery also features a curious "earthquake-detecting" device in the form of a pillar that indicates impending quakes in advance, as legend has it. Take care when clambering along the openings to the gorge, though: health and safety is clearly not a priority issue here and there are several unprotected gaps in the outer walls leading straight to the abyss. 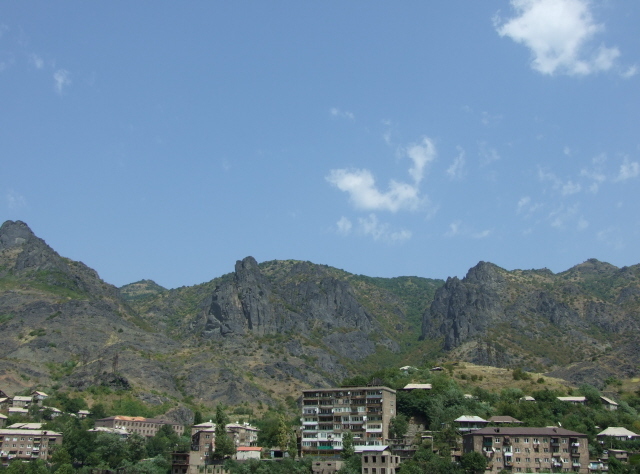 When I visited the place in summer 2010, there was some significant development going on: a company from Switzerland (of course) was busy constructing a cable car that will lead over the mountains and the gorges and make access to Tatev easier – hopefully its impact on the scenery will not be too severe. 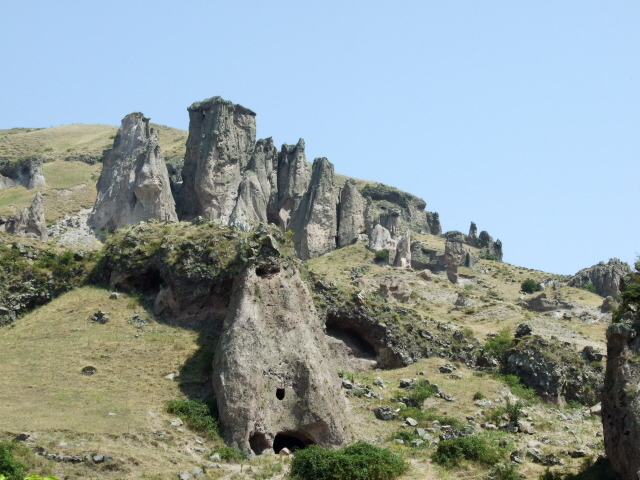 Finally, those into even more ancient cultural stuff will also find significant archaeological sites in Armenia (see also Metsamor and Gyumri) – including Armenia's own little Stonehenge-like set of standing stones and pre-historic astronomic measuring rocks at Zorats Karer near Sisian. Overall, Armenia is a splendid country to travel to, it's both exotic and remote, but at the same time quite European, chock-full of culture but often desolate and empty, hospitable but edgy (especially politically speaking), and thus very interesting for a combination of visiting its dark sites with a plethora of other activities. Do go!